Some of the largest chiropractic offices in the world are masters at doing chiropractic dinner talks. This program can be the answer to most of your new patient needs if done correctly. The chiropractic dinner talk program is not a program for beginners. It looks very simple on the outside, but the complexity of this event is quite high. There are also many different ways to make this work, and you have to have the strength to make decisions about how you want to run this in your office. In the videos you’ll find on this page I’ll go through how we did this in our office for over a year. We averaged around 30 new patients each month doing this, and I would say it was one of the most difficult, but rewarding forms of marketing that we did. 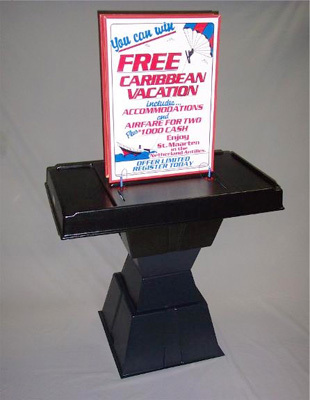 CLICK HERE to purchase a Regi-Stand. CLICK HERE to see an example of the poster that we would put into the lead collector mentioned above. CLICK HERE to see an example of the registration form that we used with our lead collector shown above. CLICK HERE to see an example of our Outdoor Lead Gathering Cards. CLICK HERE to see an example of our Lead Gathering Cards (they were printed on pastel yellow card stock). CLICK HERE for an overview of chiropractic marketing.